Taking a leaf out of the book of its premium auto brand, Jaguar Land Rover, Tata motors announced a custom version of the Tata Bolt Sport at the Auto Expo 2016 today. It was first showcased to the world at the 2015 Geneva Motor Show last year. Much like the Special Vehicles Operations(SVO) division of the JLR, Tata has plans of setting up a sports division for JLR’s parent brand, Tata Motors. This Sports division will take cars from the brands arsenal and turn them into custom sports variants for a niche crowd. Tata Motors for years now has had plans of stepping into the performance space and Tata Motors has partnered with Jayem Automotives for developing performance & special vehicles for the future. Bolt Sports that was displayed at the Auto Expo is an evidence of that. The car has a sporty feel embedded in its DNA which shows through its design and driving dynamics. The car is targetted at a niche crowd and promises them personalization through performance to its customers. The Bolt Sports comes with the same 1.2-litre turbocharged petrol ‘Revotron’ engine found in the regular Bolt, but it is custom tuned by the sports division to produce 110 PS @ 5,500 rpm and 170 Nm of maximum torque between 2,000 and 3,500 rpm. It comes tuned to a 5-speed gearbox and is capable of achieving 0-100 km/h in hardly 12 seconds. Further, it comes equipped with disc brakes for all its wheels. The car comes to users with redesigned sporty new front grille with air dam and a new performance-oriented front and rear bumper with air vents for better airflow. An aerodynamic body kit with accessorized 17-inch alloy wheels which not only aid performance but add to the sporty look along with a high-flow exhaust system to complement the sporty feel of the car. 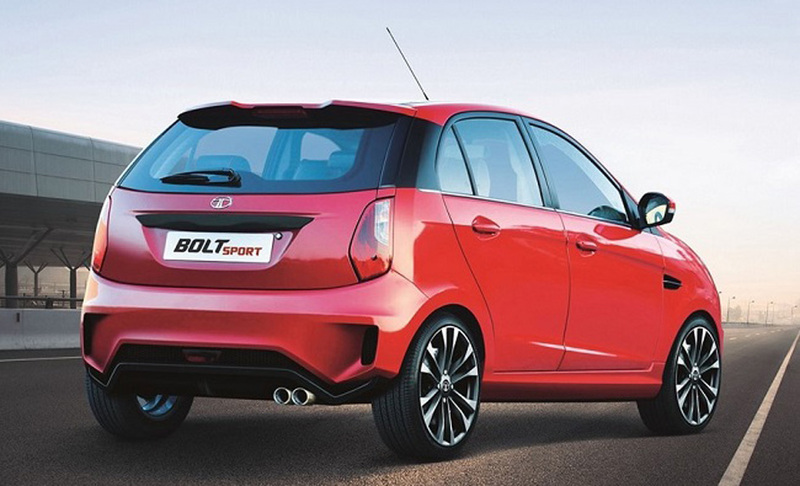 Impressive as the Bolt Sports might be, Tata has bigger plans for it in the future. The sports division has plans to bring to the markets another beefed up variant of the Bolt which will come with an engine that will produce a massive 140PS, and significantly upgraded transmission.